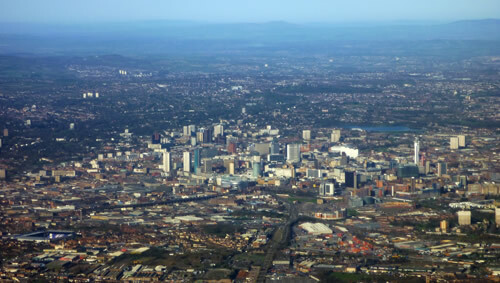 Birmingham has an image problem, or did have. I think the old perceptions about Birmingham have gone, but my perspective is somewhat warped by the fact that I live here. However; negative comments persist in the media and general comments from people who, quite obviously, have never been. Things are begining to change, this review in the New York Times is very complimentary. When you are very familiar with a place it is all too easy to overlook the local attractions, when I started to pull this together I was pleasantly surprised with just how much stuff there is here… none of it new, you just forget about these things on a day to day basis. The city has an incredible industrial heritage, home of Boulton, Watt, and Murdoch (founders of the Lunar Society) and the base of many of the industrial developments that have shaped the world we live in today. 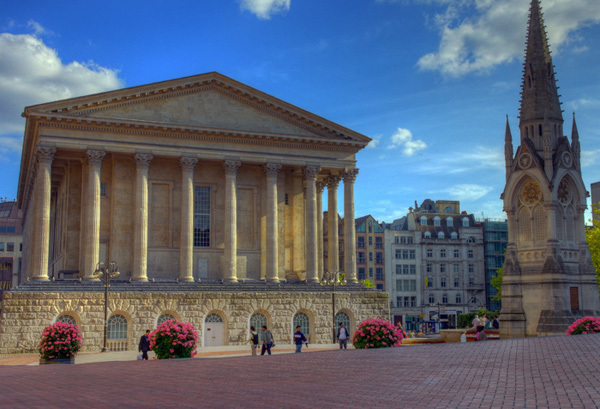 Birmingham Museum and Art Gallery – right in the city centre. World class collection of Pre Raphaelite paintings and now the main home of the Staffordshire Hoard, not just the largest collection ever found, but ten times greater than everything we had so far, this find is redefining our understanding of the Middle Ages. Barber Institute of Fine Arts – short journey out of town, “one of the finest small art galleries in Europe” The Observer. Museum of the Jewellery Quarter – the previous owners of this factory closed up and walked away in 1981, leaving a time capsule. Small tours only, includes demonstrations of jewellery manufacture. The Back to Back Houses – another time capsule and right in the city, some of the people working here and doing the tours actually lived here. Aston Hall – look out for the Winter ‘Candlelight tours’. Ikon Gallery – Contemporary art gallery, changing displays. Thinktank – Birmingham Science Museum. The Black Country Living Museum – just to the west of Birmingham. Lasan – St Paul’s Sq, Jewellery Quarter. 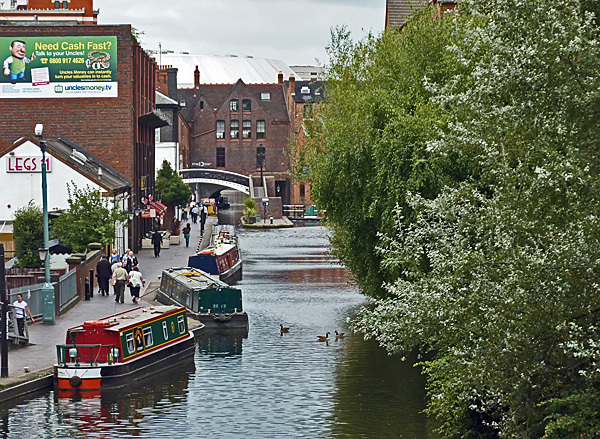 Edmunds – Brindley Place, off Broad St.
Kababish – 29 Woodbridge Rd, Moseley, Birmingham, B13 8EH. Been going for years and is consistently good, never had a bad meal here. Out of town but worth the trip – good idea to book. The Kababish is right on the edge of the ‘Balti Triangle’ and away from the main area, neverthless, from all the available choices this would be mine. It is more like a formal restaurant (as opposed to the more canteen style in some of the ‘triangle’ restaurants, and it’s fully licensed – some of the others aren’t. 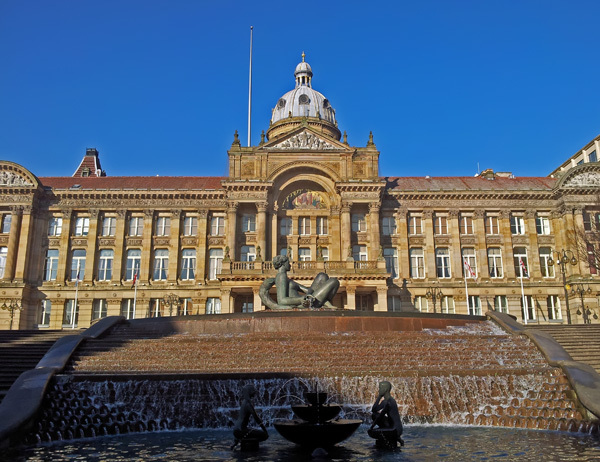 Birmingham has a huge selection of Indian/ Bangladeshi restaurants across the city, there is one area that has a particularly high concentration (over 50 restaurants), The Balti Triangle; details here. Out of town, but worth the trip. Couple of Indian restaurants that get a special mention for being Southern Indian; for those not familiar with it, this food tends to be lighter than the usual Indian/ Bangladeshi offering, and is more rice based. The breads are lighter too, more like poori. In keeping with the style, both of these have extensive vegetarian selections and both offer Dosai (thin rice and lentil flour pancakes, often huge: 50cm+ in diameter), which are quite hard to find in the UK. Both places are budget and are quick service rather than ‘a night out’ dining, but the food quality is good. Both are unlicenced. 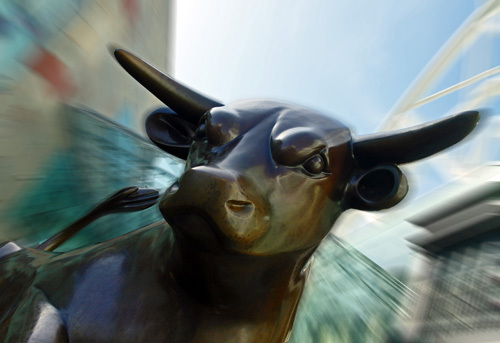 The Bull Ring has lost of restaurants, mostly of the High St chain variety, but Jamie Oliver has recently opened there. 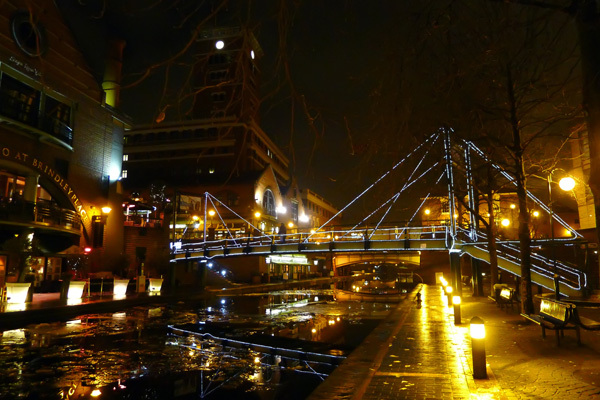 Brindlay Place is another good option, with a good choice of chains (Cafe Rouge, Pizza Express, Strada etc) and smaller operators. 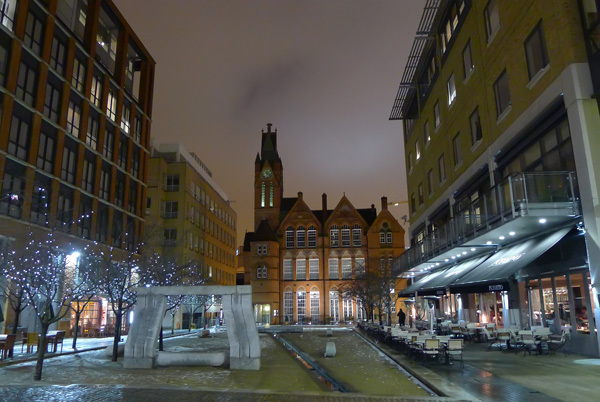 Above is Oozells Square, with the Ikon Gallery at the far end. 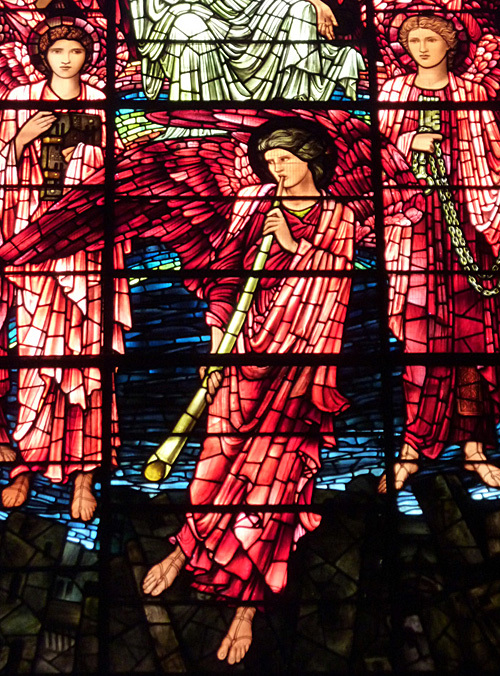 Above: the Edward Burne-Jones designed windows of St Phillips Cathedral. Architect Joseph Hansom (of Hansom Cab fame) and built in 1830’s. Hosted many music events in the 60’s & 70’s (Buddy Holly, The Beatles, Led Zeppelin, Queen, Pink Floyd, The Rolling Stones & Bob Dylan) as well as more traditional Classical events. 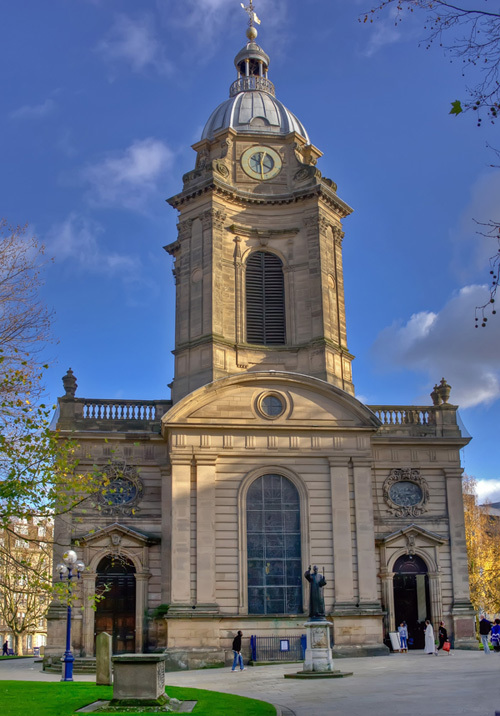 Extensively refurbished in the mid 2000’s it is still used for music and other events, and retains the spectacular pipe organ. 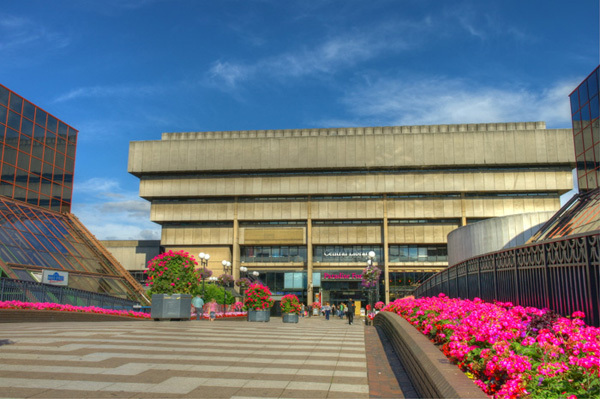 The CBSO relocated to the Symphony Hall (part of the ICC) in 1991.